In April 2002, I sat in the office of UC Berkeley environmental science professor Ignacio Chapela as an ancient telephone chortled incessantly with calls from scientists and journalists curious about his latest study, a paper published in Nature showing how genes from GM corn entered local varieties of the plant in Mexico, where GM crops are banned. Samples of the corn sat in vials on his desk. An international controversy had erupted over the experiment, and earlier that month the prestigious journal published an unprecedented near-retraction. “Nature has concluded that the evidence available is not sufficient to justify the publication of the original paper,” said a terse editorial note. 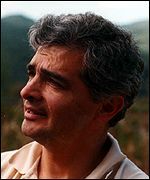 Chapela admitted to making a few interpretative mistakes, but stood by his findings even when a study by a different team of researchers in 2005 was unable to replicate his results. His findings were finally corroborated this week by scientists from Mexico, the United States, and the Netherlands who looked at thousands of seed samples from hundreds of Mexican corn fields and found that around 1 percent of them had genes that had jumped from GM varieties. Even before this week, major detractors agreed with Chapela’s main point. Corn disperses pollen easily, so one should expect that GM pollen carried by the wind has mated with local corn varieties in much of the world. Although neither expensive–total cost $2000–nor surprising, Chapela’s study was attacked because it provoked ongoing feuds. Disagreements about what might happen when GM crops interbreed with their unaltered neighbors are now more than a decade old. Scientists still debate whether transgenics will diminish genetic diversity in local crop varieties, kill beneficial creatures, or reduce the ability of entire plant populations to survive. If the sobering scenarios of squash superweeds or killer corn were the limits of scientists’ concern over genetic engineering, then more people might agree that experts could predict problems with GM crops and design efficient rules to control them. In fact, critics like Chapela point to worries that run much deeper. The government does not require testing for pleiotropic effects in GM crops, and with a nearly infinite number of the effects conceivable in each engineered plant, doing so would be impractical anyway. No crop approved for commercial use has exhibited an ecologically destructive pleiotropic effect, but some experiments have shown it could happen more easily than once thought. In 1998, geneticist Joy Bergelson at the University of Chicago compared two types of arabidopsis plants equally resistant to herbicide. One had received its resistance through genetic engineering, the other through conventional breeding. She found in field trials that the GM varieties passed on their genes to future generations more effectively, even though both strains of plant grew identically. The study seemed to suggest that something about the transgene caused it to spread more easily. And it pointed to a wide ranging and disturbing possibility: that a GM plant could overrun the environment for reasons scientists don’t understand and haven’t thought to explore.